X doesn’t have a name. He thought he had one—or many—but that might be the result of the failing memories of the personalities imprinted within him. Or maybe he really is called X. But when he discovers the existence of another—above ground, outside the protection of the Warren—X must learn what it means to be human, or face the destruction of their two species. 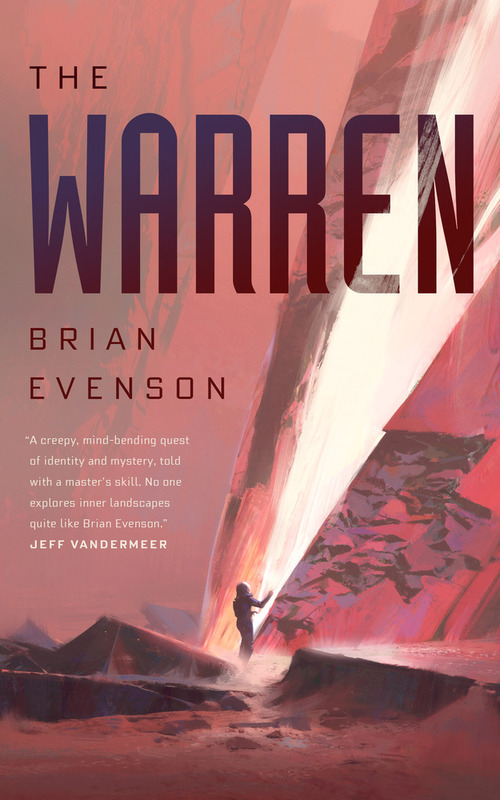 The Warren is a new novella from Brian Evenson. BRIAN EVENSON is the author of a dozen books of fiction, including the story collections A Collapse of Horses (Coffee House Press, 2016), Windeye (Coffee House Press 2012) and the novel Immobility (Tor 2012), the latter two of which were finalists for a Shirley Jackson Award. His novel Last Days won the American Library Association's award for Best Horror Novel of 2009). His novel The Open Curtain (Coffee House Press) was a finalist for an Edgar Award and an International Horror Guild Award.